Oh, how delicious! I love that filling. Ha! I do eat the same thing every single morning or I have a hard time of it! These muffins though I'd have for lunch or a snack! Amazing with the goat cheese filling. I have to try these! These look fantastic, Lisa! Thanks for show-casing them on your wonderful blog. Lisa, just found this recipe and your blog on FoodBlogs.com. The words "fig" and "goat cheese" caught my eye 'cause I love both! I'll definitely be pinning this one and trying it out. Glad I found you. These are packed with flavour Lisa. Goat cheese filling is just amazing! In cooking form Ancient Grains for Modern Meals I overlooked this tempting recipe! What a lovely way to start the day! I love the filling Lisa, and figs are one of my favorites. I had a small obsession during the season to be honest :) Delicious recipe. I love goat cheese on muffins! I love figs with cheese. I usually just have them like that or topping a crostini. But in a muffin? Oh my! Genius idea. i am in teh same boat as you. before, i could eat cereal everyday for breakfast without complaining but as i am getting older, i feel like changing things up every once in a while. 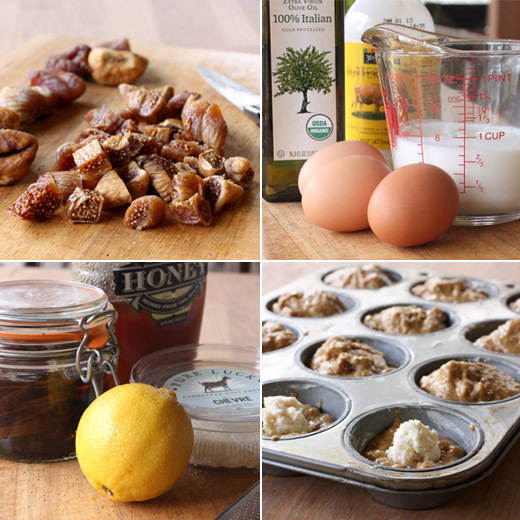 these muffins are so cool and wayyyy better than the basic, boring breakfast muffins i usually eat. i like figs and the fact that these are filled with goat cheese have me wanting these for breakfast tomorrow morning...lol! I have a very hard time eating breakfast and usually my first meal of the day is lunch, even though most days I wake up and exercise early in the morning. I've been trying to change that and force myself to eat more at breakfast, which is not that easy. 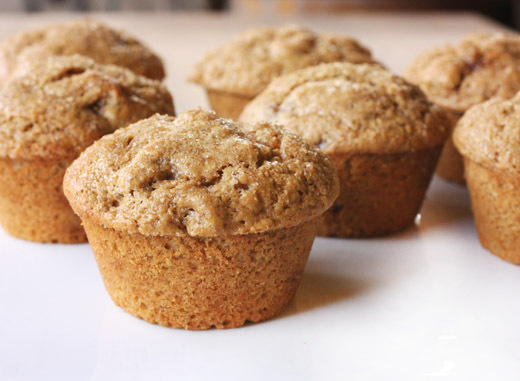 These muffins seem perfect to start a nice day! I love muffins. These are so creative. The flavor combo is really interesting and unique for muffins! I love this. We always have dried figs in the house. And I have been eyeing that book for a while. Maybe I should just pull the trigger and go get it! :) Goat cheese filling is interesting. What a brilliant idea! 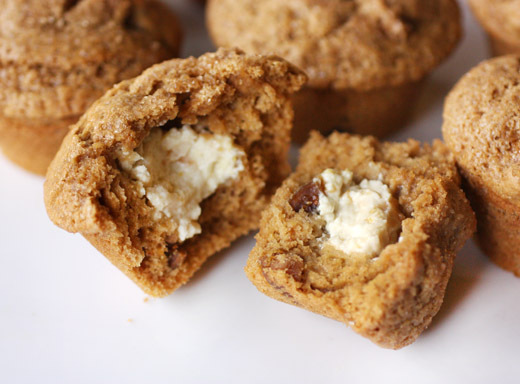 I adore goat cheese, and I've always been fond of cream cheese muffins. This sounds like the best of both worlds! Thank you for sharing with me. This post, along with my cup of hot chocolate, is making for a very lovely Thursday morning. Have a great weekend! I bet the goat cheese and figs taste fabulous together! What a wonderful breakfast!